McDonald's new flagship store is making a clear effort to mimic the Apple Store. AppleInsider takes a look at the plan, and also a takes a look back at Microsoft, Sony, and others who have "borrowed" elements of the Apple Store aesthetic in retail. The Apple Store concept debuted in 2001, and in the years since Apple's retail move has thrived, growing to more than 500 stories in 24 countries. There are many reasons for the Apple Store's huge growth, and it's even more astonishing for another reason. Retail, in that same time frame, has largely collapsed, at least in the United States. Many chains have closed, and the ones who have survived have needed to come up with a compelling reason to attract customers who could just as easily order online. And in that time, some companies have decided the easiest route is to borrow significant elements from the Apple Store. The latest to do that is, of all businesses, McDonald's. 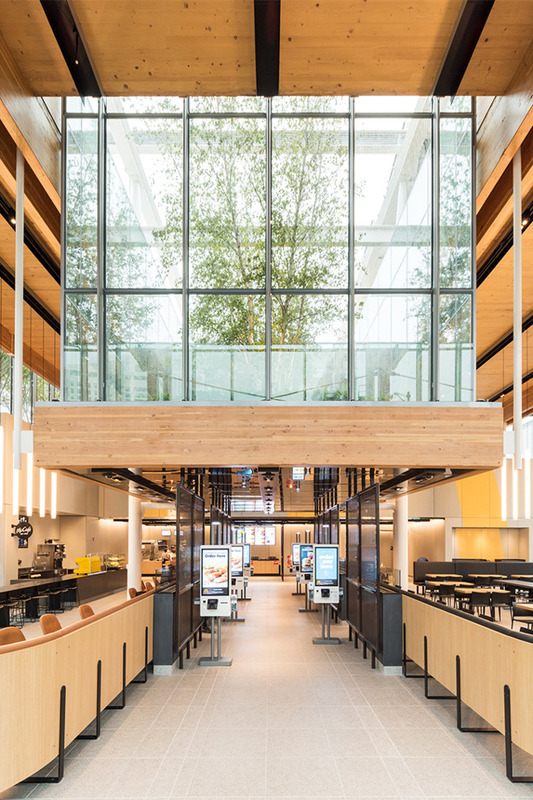 The fast food giant announced this week that it has opened a new flagship store in downtown Chicago that features a wood-and-glass aesthetic very familiar to anyone who's ever been inside an Apple Store. The store, which is on the former site of the famous "Rock N' Roll" McDonald's on Clark and Ontario streets, is less than a mile away from the Apple Store's Chicago flagship on Michigan Avenue. McDonalds also recently relocated its global headquarters to the Windy City, to the former headquarters of Oprah Winfrey's Harpo Productions. According to a press release, the new store is part of the McDonald's "Experience of the Future" concept. The goal, the company says, is to "dramatically enhance the customer experience with more convenience, personalization and choice. McDonald's EOTF restaurants leverage the convenience and technology of kiosk ordering and table service, the increasing functionality of the mobile app and the hospitality of the McDonald's crew members all in a more modern and exciting restaurant environment." 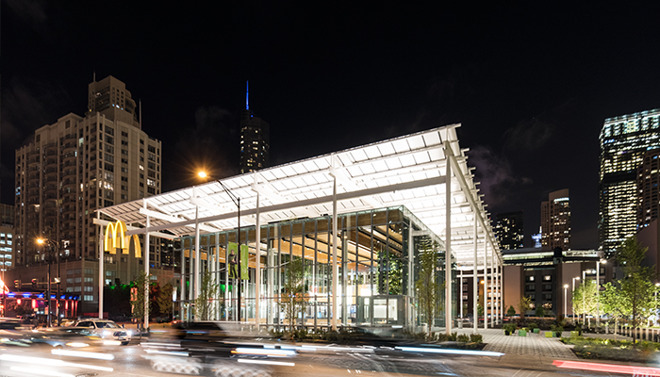 Not all of the future stores will be quite as sophisticated and feature-laden as the Chicago one. Microsoft, in 2009, launched a retail concept which was close to identical to the Apple Store's in both design and strategy. Not only that, but Microsoft made a point of locating its most of its stores in close proximity to Apple's. 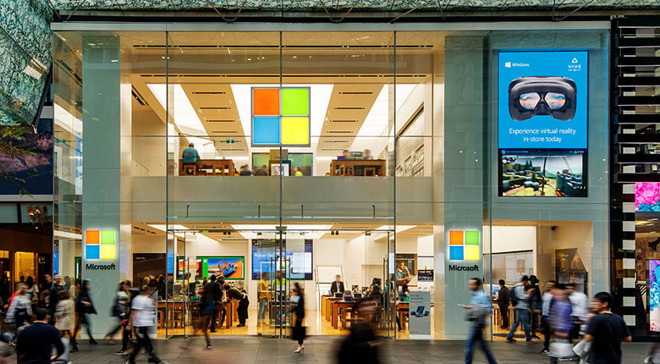 Despite various analyses that Microsoft stores are never as crowded as Apple stores, the concept has been successful, with more than 100 Microsoft Store locations now open worldwide. In the early 2000s, Sony had a small retail chain in a few U.S. cities, called Sony Style, which reached at its height around 20 locations. 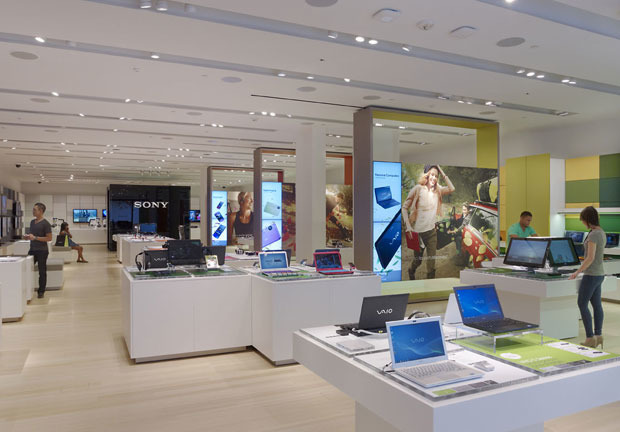 In 2011, Sony pivoted the concept and turned it into the "Sony Store," which looked a great deal more like an Apple Store than previous Sony retail locations had. The effort was not successful, and Sony phased out the concept in 2015. Samsung experimented a bit with standalone Samsung Experience stores, including one down the street from the Apple Store cube at New York's Time Warner Center in the early 2010s. 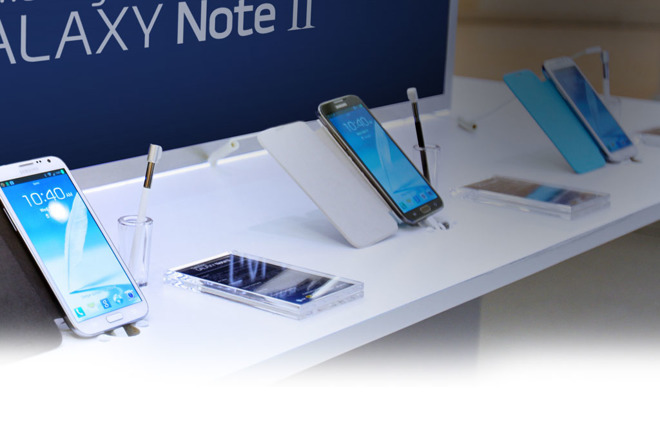 Samsung also opened popup locations at such events as South by Southwest in Austin. The concept has since transitioned to a "mini-store" within Best Buy, but continues to bear more than a passing resemblance to the Apple Store. Ironically, Samsung recently launched a series of ads set inside a fake Apple Store. Companies that copy the Apple Store don't usually admit it while doing so. 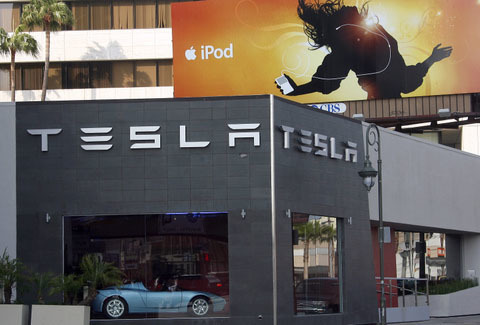 But Tesla Motors' Elon Musk did just that in a 2007 blog post on "The Perfect Tesla Store." "The type of place we are striving for combines the feel of an Apple store, a Starbucks, and a good restaurant," Musk wrote of his nontraditional dealership concept. "The reason I mentioned Apple as an influence is that their stores are beautiful and stylish, but also simple, fun, and friendly at the same time. Those qualities are what we want to see in our Tesla Stores. We will put as much energy into making our stores look good as we do with our cars." Tesla has continued to use a look at its locations that more resembles an Apple Store than a typical car dealership, while also using a sales model that's out of the ordinary in the auto industry. While Apple has spent the better part of the last decade in litigation with various rivals over whether they copied different aspects of the iPhone, it does not appear Apple has ever sued anyone for copying design elements of the Apple Store. Apple didn't invent the use of wood, glass, or uniformed employees in a retail store, nor were they the first to open a branded retail store for its products after not having one previously. It would appear that Apple is happy to have created a hugely successful retail arm, at a time when the retail industry has gone in the opposite direction, and that Apple is confident that it can compete with rivals who have elected to borrow key elements of its concept. But in the case of Tesla and now McDonalds, competition isn't such a concern.